The Metropolitan School of Professional Studies offers three specialized degree programs that focus on particular skills that are in demand by organizations for emergency services, health administration, and social service. These programs share a strong foundational set of core courses in management, financial analysis, public policy, principles of ethical leadership, and more. Track courses then give students an in-depth, immersive experience in their chosen field, taught by industry experts. The 40-credit program consists of 14 classes – including a 1 credit on-line class in Catholic Servant Leadership. Students can combine evening on-campus classes with accelerated online classes to align with their busy schedules, typically taking two or three classes per semester to complete the program in as little as 18-24 months. 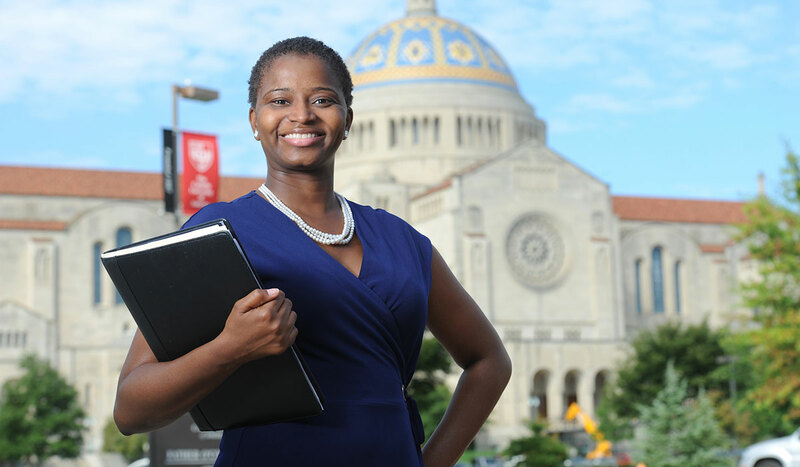 Earn a Master of Science in Management offered by the Busch School of Business. The 36-credit hour program consists of 12 classes and allows you to choose your desired concentration area. ​You may complete this degree 100% online, in-person, or take a combination of online and in- person classes. The Master of Science in Emergency Service Administration (MS-ESA) is a professional degree designed to prepare students for leadership and managerial roles in emergency service organizations. Students are given a strong foundation in analytical problem solving, budgeting and finance, ethics, legal and policy analyses related to emergency services in both the private and public sectors. The Master of Health Administration (MHA) is a professional degree designed to prepare students for leadership and managerial roles in hospitals and other healthcare systems, consulting firms, or healthcare related businesses. Students are given a strong foundation in analytical problem solving, budgeting and finance, ethics, legal and policy analyses. The Master of Science in Social Service Administration (MS-SSA) is a professional degree designed to prepare students for leadership and managerial roles in social service organizations. Students are given a strong foundation in analytical problem solving, budgeting and finance, ethics, legal and policy analyses. The MS-SSA is similar to a MSW but differs in that whereas an MSW prepares students to be social work practitioners, the MS-SSA prepares student to manage a social work practice. Improve your earning power and move up in your career with a Master of Science in Management. This degree can be completed 100% online offered by the Busch School of Business at The Catholic University of America. Different than MBA, the MSM degree focuses specifically on the discipline of management--enhancing your professional ability to manage organizational resources more effectively. The MSM Degree Program combines a strong academic foundation with practical knowledge and skills in management taught by leading management educators. Choose from a 4-course professional certificate or a 10-course Master of Science in Data Analytics that culminates in a capstone practicum in which students analyze real-world data and present their findings to industry experts.